Stevens sustainability and resilience researchers are utilizing natural grasses and nanotech to remove contaminants from soil and water. Here's how. Some neighborhoods in the New York metro area will begin flooding once or twice every month as soon as the next few decades. A few could even go permanently underwater. Here's how Stevens researchers - and the Davidson Laboratory - are fighting to stop it. "We aim to future-proof the department, and do what we do best," says new CEOE department chair and director of the Davidson Laboratory Dr. Muhammad Hajj. Here's his plan to do that. CEOE associate professor Elizabeth Fassman-Beck is a globally recognized expert on green roofs that minimize water runoff. She's using that expertise to create green infrastructure solutions for Hoboken -- and already has promising results. CEOE assistant professor Valentina Prigiobbe spoke with WPIX 11 about how Hoboken's infrastructure makes it prone to flooding. Stevens Maritime Security Center works on projects tailored to the U.S. Department of Homeland Security. This year's Summer Research Institute projects were particularly inventive -- including its first invention disclosure and potential provisional patent filing. 4th Best Civil Engineering Program in the U.S.
Stevens civil engineering program was named 4th Best in the U.S. by Interesting Engineering magazine. The Department of Civil, Environmental and Ocean Engineering (CEOE) offers undergraduate and graduate programs, in addition to a variety of graduate certificates and minors that prepare students to succeed in a variety of fields. These programs all share the core principals of engineering, and are embedded in the infrastructure that directly affects the economy and society. 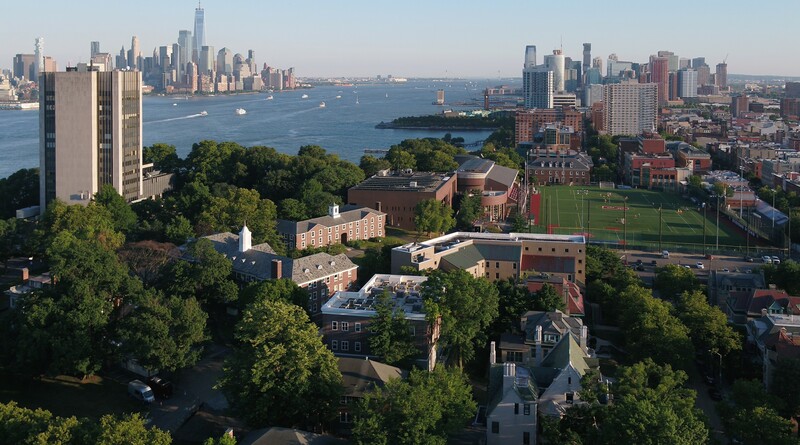 At Stevens, civil engineering has been an important discipline since the founding of the university, and CEOE has expanded to include offerings in environmental and oceanographic engineering as a response to ongoing developments in the field. Engineering with a concentration in Naval Engineering, B.E. Construction Engineering & Management, M.Eng. In addition to robust research in construction management and ocean engineering, the CEOE includes two National Centers of Excellence: the Maritime Security Center (MSC) and the Atlantic Center for the Innovative Design and Control of Small Ships (ACCeSS), as well as the Davidson Laboratory. The structural engineering group focuses its research on multiscale modeling and reliability/uncertainty/risk assessment of complex/material systems. This research explores material surface properties, energetic compounds deactivation and various aspects of soil properties. This area includes the New York Harbor Observing and Prediction System (NYHOPS) that provides real-time data about the waters of NY/NJ. Research centered on the study and application of the nonlinear interaction of acoustic and vibrational energy in various media and materials.